MSC Cruises has added 19 new shore excursions along with the launch of a new port guide service. 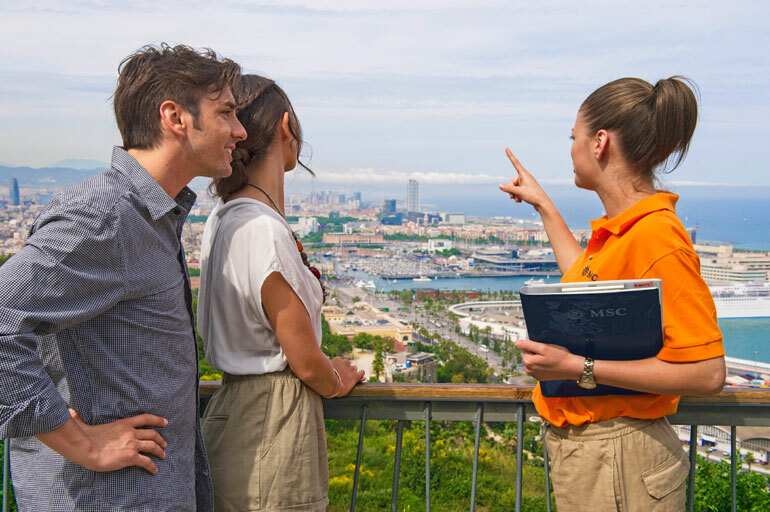 MSC Cruises has launched a new port guide service on its newest cruise ship and added 19 new shore excursions in the Mediterranean with five of them on MSC Meraviglia. Guests on MSC Meraviglia can get access to experts, advice, and information on the ports the ship visits. The introduction of a new, complimentary Port Info service offers guests a one-stop destination support service. Assisting guests in making the most of every itinerary destination, the Port Info desk will offer personal, tailored and expert information on what to see, where to eat, where to visit and how to get there. The desk will also help guests book local transportation such as train tickets, taxis or a car service, as well as assist in creating private tours and experiences. This is an especially invaluable service in countries where guests don’t speak the local language. Port Info will also highlight local events, festivals and parades, allowing guests to discover local culture and traditions. Where possible, ship port times will be adjusted to allow enough time for guests to fully experience events and get the very most out of their stay. The Port Info service debuted on board MSC Meraviglia when the ship launched in June, with plans to extend the service to the entire MSC Cruises fleet. To further enhance the discovery of destinations for guests, MSC Cruises has added 19 new shore excursions to its already comprehensive range of tours in the Mediterranean, including five of which are exclusive to MSC Cruises’ guests on board MSC Meraviglia. These excursions have been specially developed for families and food lovers, with something to suit all ages and allow guests to experience destinations on their cruise in new and exciting ways. The new shore tours include family and foodies tours. Exclusive excursions will be on MSC Meraviglia which only recently joined the MSC fleet.